Probiotics is quite the buzz word in dog nutrition these days, and these beneficial bacteria can promote healthy digestive systems in dogs. A number of dog food manufacturers even include probiotics in their formulas now. Before you jump on the bandwagon, however, learn a little more about probiotics, their pros and cons, and where to find the highest quality probiotics for your pet. There are two major reasons why probiotics are given to dogs. The digestive tract is full of microflora and according to PetMD, probiotics are the good bacteria that improve the digestibility of the foods your pet eats. When you supplement your dog's diet with live probiotics, they can re-colonize his digestive track and help keep it in good working order. According to a report in Veterinary Practice News, some vets are using probiotics to treat digestive upsets. Although more studies need to be carried out to prove just how effective these bacteria are when used for this purpose, one study conducted by the Proctor & Gamble Pet Care Technical Center concluded that administering the probiotic B. animalis AHC7 to dogs with acute diarrhea significantly reduced the length of the illness. Dogs may also benefit from a probiotic supplement after a round of antibiotics since the medication targets all bacteria and kills off the good with the bad. It's always wise to consider the pros and cons of any supplement you consider giving your pet. That way you can make an informed decision before you give it a try. It's not possible for dogs to overdose on probiotics, but feeding too much can cause temporary digestive discomfort. You are not limited to feeding probiotics designed for dogs. Probiotics made for humans that meet the above criteria can be fed as well although PetMD recommends it's safer to use products made for dogs. According to a report published in the Canadian Veterinary Journal, many of the dog foods brands that claim to include probiotics either do not contain the exact organisms listed or do not have enough of the live beneficial bacteria in them to provide significant benefits. This led to the conclusion that, "Overall, the actual contents of the diets were not accurately represented by the label descriptions." Another way to give your dogs probiotics is by feeding them some yogurt with their daily meals. Yogurt can help dogs with upset stomachs by improving their digestion and reducing harmful bacteria. On the other hand, some dogs may have trouble digesting it and can get diarrhea. If you decide to feed your dog yogurt, look for brands that have live, active cultures with the colony forming units (CFU) listed on the label. You can feed either Greek or plain yogurt although each has differences. Greek yogurt may work better for lactose-intolerant dogs, but it contains less calcium and more fat than regular yogurt. Dogs may develop diarrhea from yogurt so start feeding them a small amount and increase if their stool seems healthy. A small dog can get one teaspoon and a large dog a tablespoon with their regular meals and increase or decrease based on your dog's health. The following probiotics products have the recommended characteristics of a top-quality supplement. Each is designed to be added to a dog's food according to a specific measurement found on the product's packaging. Be advised that your vet is the only person qualified to recommend a specific probiotic for your pet, so consult your vet before purchasing. 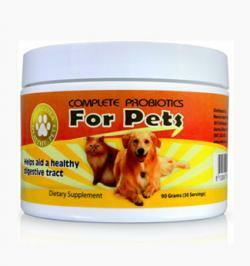 Complete Probiotics for Pets is manufactured by Dr. Mercola Premium Supplements. 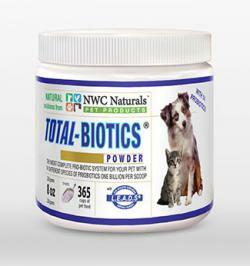 Total-Biotics is manufactured by NWS Naturals. Probiotic Miracle is manufactured by Nusentia. If you're giving your dog probiotics specifically to help with diarrhea, one of the highest rated probiotics is Purina Fortiflora for Dogs. 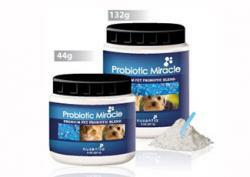 It can be found for sale in many veterinary clinics and is the highest selling probiotic brand for dogs. The product is helpful for diarrhea but may not be as effective for improving your dog's digestion overall. It sells for about $28 for a 30 gram package and comes in a powder form. It's always wise to consult your vet before giving your pet any nutritional supplements, and that includes probiotics. 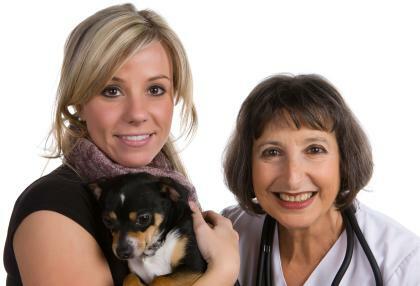 Let the vet examine your dog and address your questions and concerns. If you vet feels your pet could benefit from receiving probiotics in addition to a healthy diet, he or she can help you choose the best probiotics to benefit your dog.